Every year since 2000, the infamous color gurus at the Pantone Color Institute designate a Color of the Year that sets the tone for the fashion industry, interior design, graphic design, and product and packaging design. Their designation is the color they expect we’ll be seeing everywhere in the year to come. A specific color is chosen as a reflection of what consumers around the world are looking for in terms of a mood or attitude that crosses all areas of design. The hue that is seen as building importance throughout all creative sectors – including the entertainment industry, upcoming films, art, emerging artists, travel destinations, and socio-economic conditions – is selected after combing a wide array of design and color influences that capture worldwide attention. The choice is influenced by all realms of pop culture – from movie sets to major sports events to the latest tech trends. This year’s choice?  Marsala, an earthy reddish shade that’s somewhere between wine and Terracotta. When many designers approach a new marketing/advertising project, color inspiration often comes from the existing brand colors or the product itself. The majority of our designs are very client-driven – we try to brand for our customers in a more timeless way and not pay too much attention to the trend of the year when it comes to branding. However, when a color is everywhere, it is tempting to use it in projects that allow free reign and a little design freedom. A rich contrasting color, Marsala may be an ideal choice for use in graphic design and packaging. Eye-catching, but not overwhelming or bright, consumers are immediately drawn to the hue, making it an alluring shade at point-of-purchase. Although we’re interested in industry trends, they don’t necessarily drive our decisions. What drives us is finding long-term solutions that help improve our clients’ business and reputation. That being said, we always follow best practices to ensure that a client’s project is completed to the highest standards. Whether it’s coding a website properly to ensure it’s SEO friendly or making sure bleed marks on a palm card are right, trends may come and go, but best practices stand the test of time. If you’d like to learn more about how to improve your creative click here.